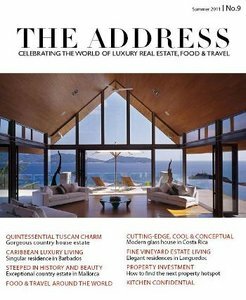 December 3, 2015 (Powerhomebiz.net) Encapsulating a luxurious and international lifestyle, THE ADDRESS Magazine showcases some of the world’s finest properties for sale, ranging from exotic destinations to sleek Alpine landscapes, from vibrant cities to scenic weekend getaways. Looking for a main residence or a second home, THE ADDRESS Magazine delivers precise and relevant information in an award-winning format that lavishes the reader with spectacular photography and engaging editorial. The luxury lifestyle magazine also includes Food & Travel articles, featuring alluring destinations as well as tantalizing cuisine, noteworthy chefs and memorable restaurants. First in the outstanding line-up of luxury real estate in Volume 22 of the “coffee table” magazine is a hand-picked selection of prestige mansions and villas for sale on the French Riviera. Making an elite lifestyle statement, here is an extraordinary waterfront villa that epitomises the exquisite and exceptional. With an unsurpassed elegance and a coveted address, this is a world-class Riviera trophy property for sale. A dazzling architectural triumph, readers will also find an ultra-modern home for sale in Villefranche. With streamlined design and sweeping views, this sensational home is all about a privileged lifestyle. Volume 22 of THE ADDRESS Magazine also includes an extensive feature about Algarve real estate. The highlight is a show-stopping mansion villa – reminiscent of a traditional Portuguese manor house – that represents the pinnacle of luxury and architectural brilliance in terms of Algarve real estate. Barbados is a favourite destination for many international property buyers and Volume 22 showcases an impressive collection of luxury tropical homes for sale on the island. Properties include a historic country home, a luxury villa for sale in the world-famous Sugar Hill Resort, and a stylish ocean view penthouse. Phuket remains both the playground and destination of choice for exclusive holiday homes and second homes in Asia. Absolute tropical luxury real estate at its finest, the Phuket villas in this issue are the epitome of class and sophistication. Looking for that perfect primary residence or a holiday home on Spain’s Maresme Coast, Volume 22 features a fine selection of properties, including a period villa, a superior family villa and a luxury vacation home. Brimming with natural splendour and Old World allure, the Italian Lakes attract international buyers seeking luxury properties. Epitomising everlasting beauty, grace and refinement, this issue features a wonderful array of luxury villas and apartments for sale in the Italian Lake district. An essential resource for lovers of prestige properties in Paris, this issue includes three elegant residences where owners can enjoy the ultimate city based chic lifestyle. Also, in this issue of THE ADDRESS Magazine, there is a beautiful modernist home for sale in Barcelona; an immensely beautiful castle for sale in the Catalan countryside; an ultra-modern prestige property for sale in Corsica; a dream Costa Blanca country house for sale; one of the finest waterfront properties for sale in Liguria; Lisbon luxury brand new apartments for sale with a central city location; and a Philippines 5-star residential resort apartments for sale. The market insight features in Volume 22 include “Spain’s holiday rental laws – all you need to know before renting out your vacation home” and “Reforms to the taxation of non-UK domiciled individuals”, plus 15 Property Market Spotlight Articles. The Food & Travel include a fascinating journey to the Arctic, one of the world’s uncharted regions where the scenery is remote but on an epic scale. Enjoy the visually arresting photo essay ‘Winter Vibe”, which beautifully captures the quiet beauty, majesty and serenity of the winter season. A culinary journey from Athens to Tokyo explores epicurean inspirations; from hidden gems to perennial classics, from simple delights to refined pleasures. In addition, foodies will enjoy an interview with chef Akira Shimizu who also shares two of his signature recipes. Last, but not least, Curated showcases recent discoveries in global style, design, well-being and good living. THE ADDRESS Magazine is a high-quality online magazine showcasing exclusive homes in the most desirable luxury real estate markets throughout the world as well as food and travel features. 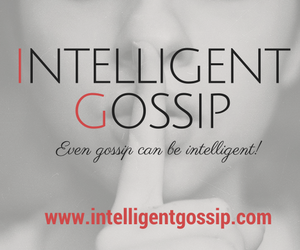 Since 2008, the innovative and stylish publication has been the quintessential coffee table style digital lifestyle magazine for luxury real estate buyers. THE ADDRESS Magazine contains well-written descriptions and professional photography that represents “the best of the best” in luxury homes for sale.